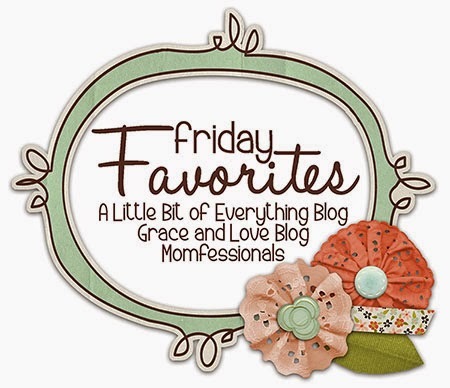 I'm linking up with the gals today for their Friday Favorites link up. My favorites this week are my Fall decorations. I like to tuck seasonal decorations in amongst my day to day decorations to add a touch of the season to the room without totally taking it over. Christmas is my 1 exception to this rule. I've had this lighted jack-o-lantern since, I think, the second year Andy and I were married. So, we're talking 11-12 years. I bought it to set on a table in front of our big picture window so I could be a little spooky during the holiday. The funny thing is, I never had a table to set it on there! I've used it maybe half the years I've had it. But this year I came up with this set up and I love it! The garland it's sitting on is a black-purple with a little sparkle, which this photo doesn't really show. All the gourds you'll see in the pictures are from my garden -- I wish I had enough space to grow them every year because I really love them. When we looked at our house the previous owners had taken out the cabinets above the fridge because their fridge was too tall. The day we took ownership those darn cabinets were back up there, only to be taken down again because the fridge we bought was too tall for the, too. Andy built this really nice shelf up there for me so I could decorate it. During the non-holiday season I still don't have anything to go up there but during the holidays I love decorating it and lighting it up. It's a pretty night-light in the evenings when we are sitting in the living room watching TV and the lights are off in the kitchen/dining room area. This is one of my all time favorite pictures of Aiden! He was so excited that day to be out on the farm with my dad helping him. I keep it out all year round, moving it from place to place depending on how I'm decorating at that time. For this season I moved it to the kitchen counter and added this metal pumpkin and little pumpkin people to go with it. Here is my Fall mantel. I'm really happy with how it turned out this year. Before I've taken all 'every day' decorations down to make room for the holiday stuff, but this year I like that I kept some of that stuff tucked in. That garland draped across the bottom is one of my favorite Fall pieces. I keep it up a little longer than Halloween, even though they are Jack-o-lanterns, where as with all other Halloween items I take them down and keep just the Fall stuff, adding in a few turkeys and Pilgrims here and there. I love keeping as many pictures out as possible. They make me happy. The top of this cabinet is one of my favorite 'flat spots' I have decorated all year long. To add these gourds and sprigs makes me even happier with it! I love how 'simply Fall' it is. Those are a few of my decorated spots in our house. Hope you enjoyed the tour! oh I love all your fall decor. I need to put a little more up in my house. We don't have very much. It's my favorite time of year but I don't seem to have much out this year. Your decorations look great! I love the idea of a shelf above the fridge, that's so clever! And your mantel looks awesome! Love all these beautiful fall touches… Subtle like mine--- but I see we're the same when it comes to christmas--- I like my house to look like Santa threw up in it! haha. Stopping by from the link-up!!! Your fall decor is perfect!! I love it all! But I think above your fridge might be my favorite. The lights are the perfect touch!